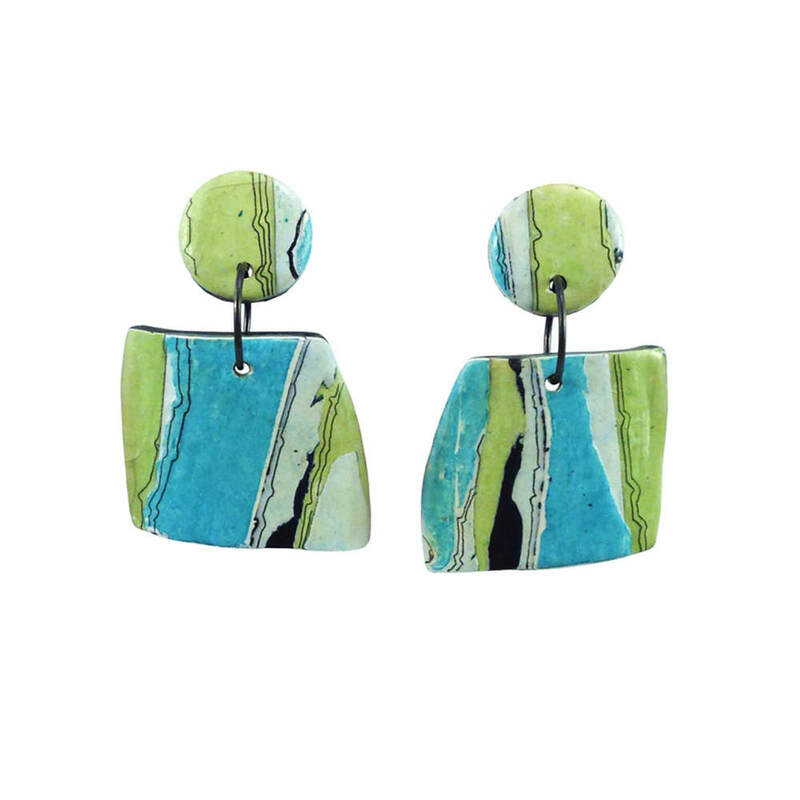 Fire Stone Clay Jewelry is designed & created by Marsha Firestone in Newton, MA. 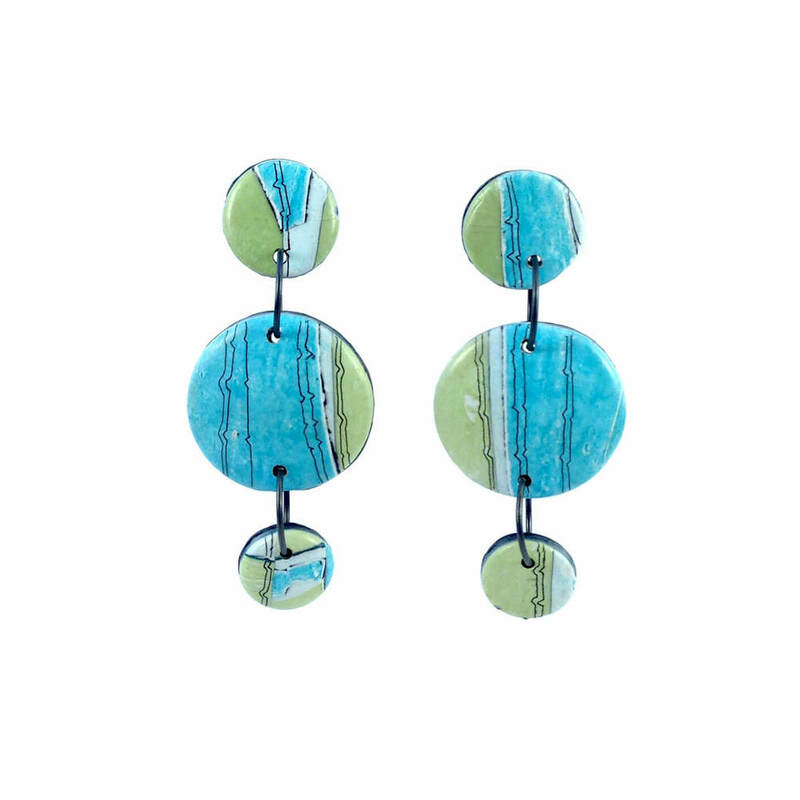 One of my first polymer earring designs was created from a circle, cut in half and repositioned in an unusual way. The interest of the piece was in the “twist” or the “crank” that happened in the repositioning. Trained as a landscaper designer I see stripes all around me and am inspired by the striations in stone, trees and plant material. As a quilter I am drawn to fabrics with stripes (and dots and geometric patterns). This technique uses polymer clay much like one would use watercolor. 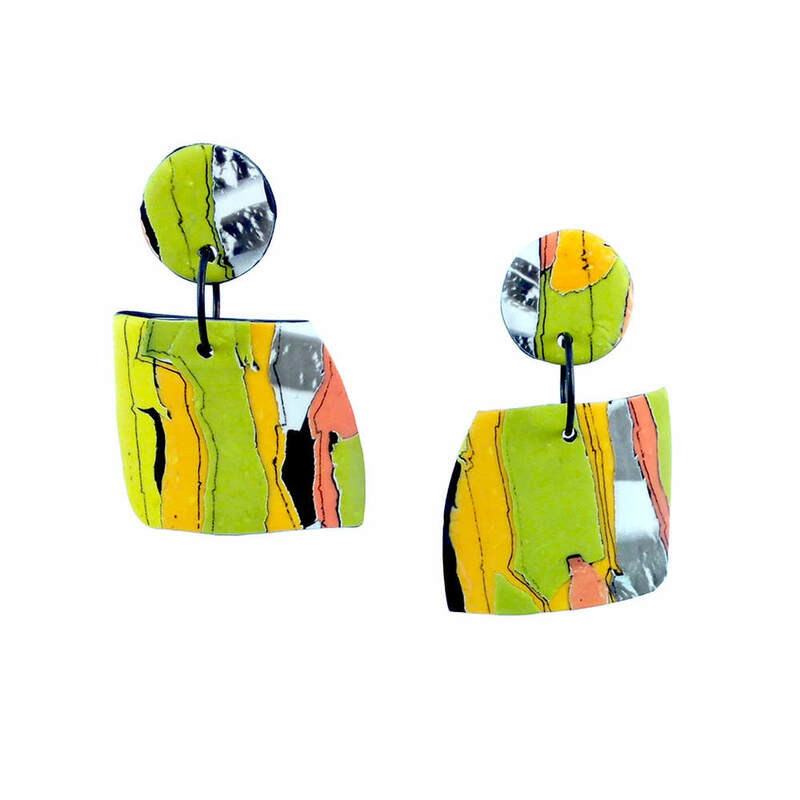 It is a more painterly approach that gives depth to each piece of jewelry.